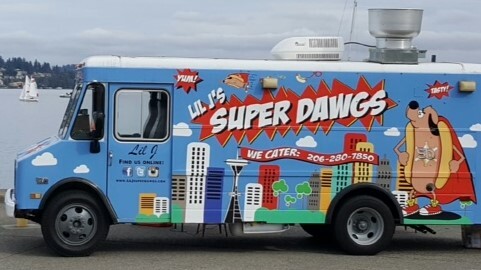 Seattle Food Truck Delivers the Dawgs - Proud 2019 Food Truck Partner With The Seattle Sounders & The Seattle Seahawks! Whether you like your dawgs plain or with every topping imaginable, we've got what you're hungry for. 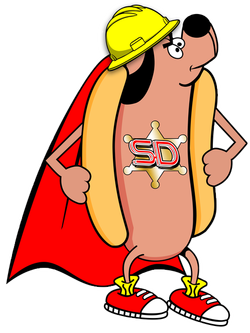 From Puppy Dawg 1/3 pounders to our mighty 1/2 pound Big Dawg, we've got All Beef Franks, Veggie and more. You'll find us dishing up dawgs, specialty seasoned fries and sides around Seattle. Check out our schedule to see when we'll be in the neighborhood. Sign up and we'll let you know when we update our menu or schedule. Copyright © 2018, Lil J Super Dawgs. All rights reserved.